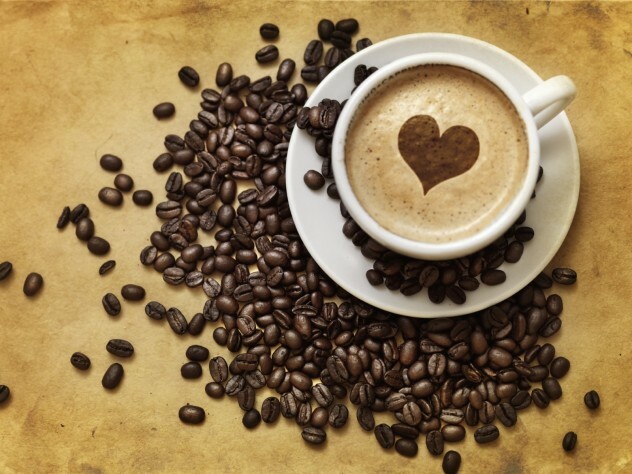 Eighty-three percent of adults in America drink coffee. It’s the world’s second-most traded commodity, and it’s delicious. But there’s more to the country’s favorite hot beverage than meets the eye. From the sublime to the horrifying, coffee is a fascinating natural resource that has had a profound cultural impact around the world. An epidemic of theft and violence is sweeping the coffee industry in Kenya, a country where a kilo of dried beans can be worth a week’s wages. A special police force has been set up to deal with the problem, but raids by armed gangs are a daily occurrence. Coffee growers are being forced to sleep in their fields so they can fend off would-be thieves. The thieves aren’t subtle, with reports of security guards at coffee factories being shot with arrows and beaten to death with branches. Villagers have taken to fighting fire with fire, and criminals caught in the act have been lynched in the street. While coffee is grown on tens of thousands of small farms throughout the country, exports are only managed through licensed operations. The coffee thieves are able to make money because of corruption reaching right to the top of the tree. With 5 million people in Kenya dependent on the coffee industry to make a living, it’s a daunting issue for the government to overcome. Coffee rust is a fungal disease that attacks the leaves of the coffee plant. It gets its name from the distinctive orange patches it causes. The disease, which has blighted crops since the 19th century, eventually kills the plants and is a threat to the livelihoods of farmers around the world. 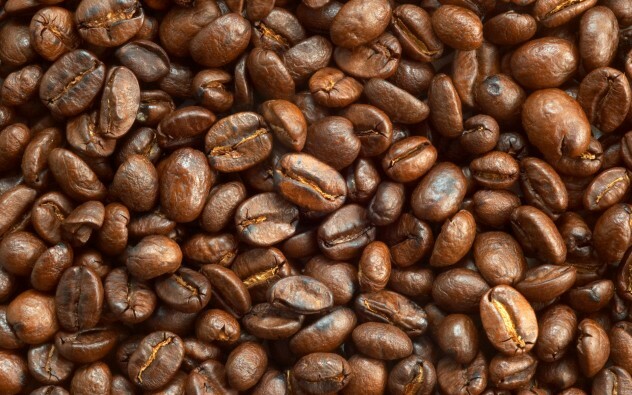 The Arabica plant, favored by coffee connoisseurs, is coffee rust’s main victim, and countries that grow Arabica beans are currently suffering an epidemic. In February 2013, Guatemala declared a state of agricultural emergency due to coffee rust and has provided $14 million for farmers to buy pesticides. Seventy percent of their national crop has been impacted, and there are similar circumstances throughout the region. Unfortunately, that means you may end up having to pay more for a decent cup of coffee in the next couple of years. 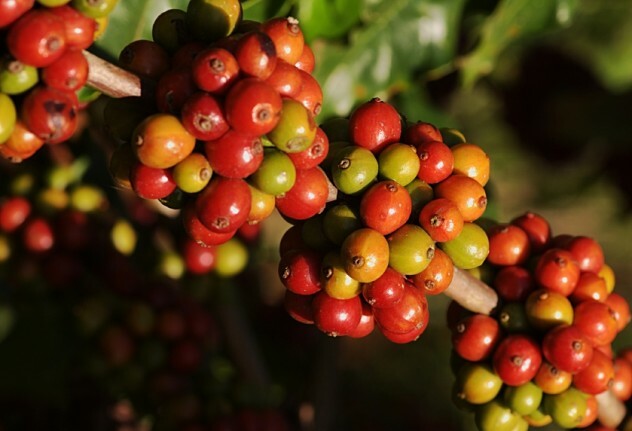 Every other coffee list on the Internet will tell you that coffee was discovered by goat herders, whose goats got a little jolly after munching on coffee berries. But why does coffee contain caffeine to begin with? Well, it’s toxic to slugs and other pests, but it turns out it also has an effect on pollinators such as bees. In fact, scientists think they get—wait for it—a buzz from the caffeine in the flowers of plants. Scientists found that consuming caffeine helped bees to improve their long-term memories. 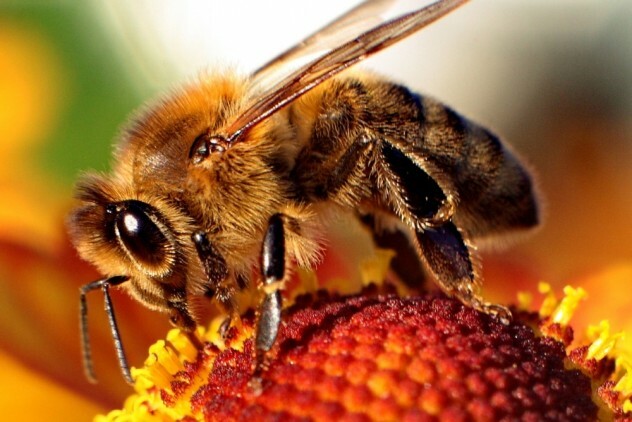 The caffeine acts on the brain chemistry of bees in a way that makes the flowers more memorable, so the bees are more likely to return to plants of the same type. Though bees and humans are very different, some experts suggest the capacity to be affected by caffeine could be as old as the common ancestors we share, as it impacts our neurological activity on a very fundamental level. The Ethiopian coffee ceremony, or bunna, is a key part of home and social life. It is a process of preparation that can take hours. It starts with the washing of coffee beans and ends with ceremonially pouring the drink into cups. The ceremony is practiced by women in Ethiopian culture, and girls are taught from a young age how the ritual is performed. It is observed at least daily, and starting the coffee ritual is the standard way to welcome visitors to the home. The ceremony starts with fresh, green beans that are roasted in a pan while fragrant flowers are burned to provide a pleasant aroma. After that, coffee is prepared and poured into cups containing sugar, salt, or butter. It is sometimes offered at Ethiopian restaurants in the US, the UK, and elsewhere. 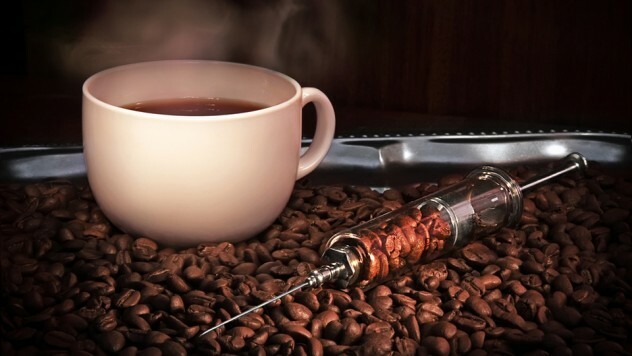 Caffeine, like any drug, is toxic in large enough doses. The lethal dose of caffeine would require about 100 cups of coffee, and the water from drinking that much coffee in one go would kill you before the caffeine did. That said, there’s still enough caffeine in coffee to make you ill, especially if you’re not used to it. 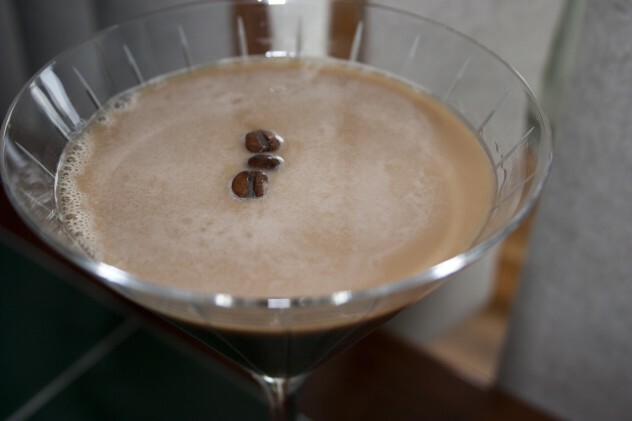 A 17-year-old girl in England was hospitalized after drinking seven double espressos. She suffered mood swings, raised temperature, and palpitations. She said the experience has put her off coffee for good. The other risk of over-indulging is caffeinism, an addiction that is defined as needing six or more cups of ground coffee per day. Coffee first reached England in the 17th century, served in coffee houses around the country—there were 82 in London alone by the mid-1660s. But coffee wasn’t popular with everyone. A group of women, frustrated by the lack of virility in their men, claimed coffee “made men as unfruitful as the deserts.” This campaign by “several Thousands of Buxome Good-Women, Languishing in Extremity of Want,” as they called themselves, combined with concerns from other quarters, saw King Charles attempt to ban the drink in 1675. The people were very unhappy with this decision, and Charles quickly forgot about the idea. Coffee houses went on to become the meeting places of the scientific and literary worlds, frequented by people like Isaac Newton, Robert Hooke, Samuel Johnson, and Alexander Pope. People will compete at pretty much anything, even hot drinks. It’s that competitive spirit that gives us the World Cup Tasters Championship. In this event, participants aim to use smell and taste to identify different coffees from around the world as quickly as possible. Coffee tasting is just one competition held in the annual World Coffee Event, which took place this year in Nice, France. Latte art is among the most impressive, and certainly the easiest to appreciate over the internet. 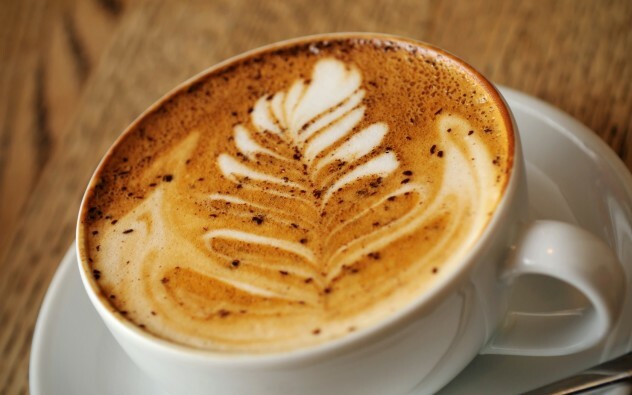 Using nothing but hot milk and espresso, latte artists work to create intricate designs on the surface of the drink. Swirls and leaves are popular, but some artists produce pictures of dragons, cartoon characters, and teddy bears, the last being too adorable to even consider drinking. 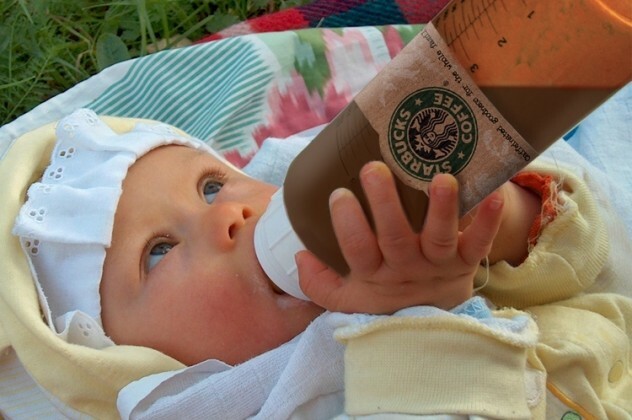 Advice on what and what not to consume during pregnancy is rampant, and coffee falls into the camp of things a lot of women are told they should avoid. Much of the reason for this is that data shows that women who drink less coffee have healthier pregnancies. While that seems clear-cut, it’s far from it. Women who suffer more nausea also have healthier pregnancies, and anyone suffering nausea is unlikely to fancy a caramel latte with sprinkles. The best data available appears to show no evidence of causation between coffee drinking and problems below around three cups of coffee each day. Only about 20 percent of the coffee bean contributes to the flavor and aroma of the drink—the rest is tasteless plant fiber. That means that there’s a lot of stuff left over when coffee is produced—hundreds of thousands of tons of it a day. Scientists are working hard to come up with a useful way to use the waste. Researchers at the Maine Technology Institute have investigated ways to turn spent coffee grounds into fuel pellets to be burned for energy, and one coffee production company already sends its waste to a nearby biomass plant to be burned along with wood. Another group of scientists has devised a way to use coffee grounds to produce an alcoholic drink, by fermenting the grounds and distilling them in a method similar to the production of whiskey. The result is a beverage the makers claim has “organoleptic quality acceptable for human consumption.” They might need to work on a tagline. Coffee rust is not the only fungus that can affect coffee plants. 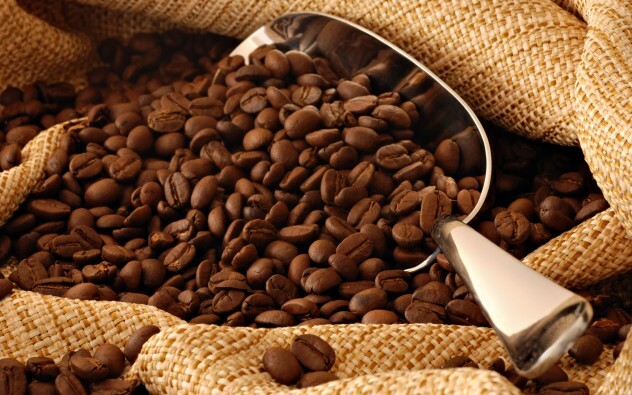 Ochratoxin A is toxic poison produced by Aspergillus and Penicillium fungi that grow on coffee plants. The amount of acceptable ochratoxin is controlled in Europe, with an acceptable level of five parts per billion for ground coffee, and 10 parts per billion for instant, because who cares about instant coffee drinkers anyway? Its presence in coffee was only discovered in 1988, and a study shortly afterward found that 7 percent of shipments were over this safe level. Work by the Food and Agriculture Organization of the UN helped farmers to reduce the average level found in exports by over 25 percent between 1998 and 2004. 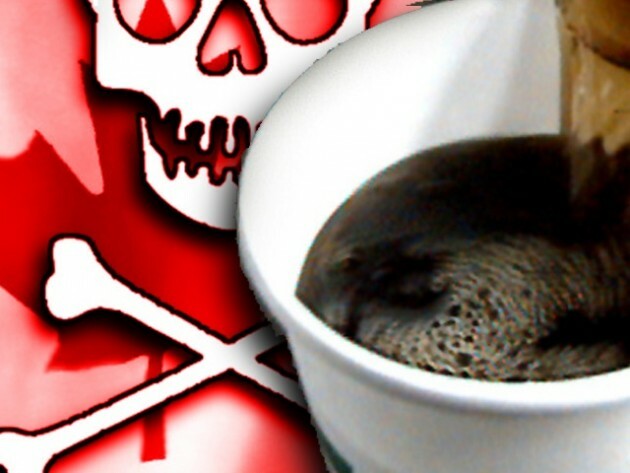 Ochratoxin is not the only poison found in coffee. In 2003, one man was killed and 15 people were hospitalized with suspected food poisoning. Doctors eventually deduced that the cause of the illness wasn’t sandwiches, as initially thought, but someone poisoning the coffee pot with arsenic. Sadly for the town of New Sweden, this seems to be the only event in their history worthy of making their Wikipedia page. You can email Alan here or read his blog, where he writes stuff that isn’t lists.